Late in 1985, Prince broke his self-imposed silence and spoke to the public for the first time in almost four years. First came an interview for Rolling Stone magazine. Later came an interview for MTV. Prince's agreement to be interviewed took MTV so suddenly that the staff at the cable network were unable to arrange to conduct the interview in person. Consequently, the Music News staff resorted to simply providing a list of questions to be read to Prince by his manager and answered by Prince on videotape. MTV elected to broadcast only parts of the interview. The full interview was then offered to other broadcasters. 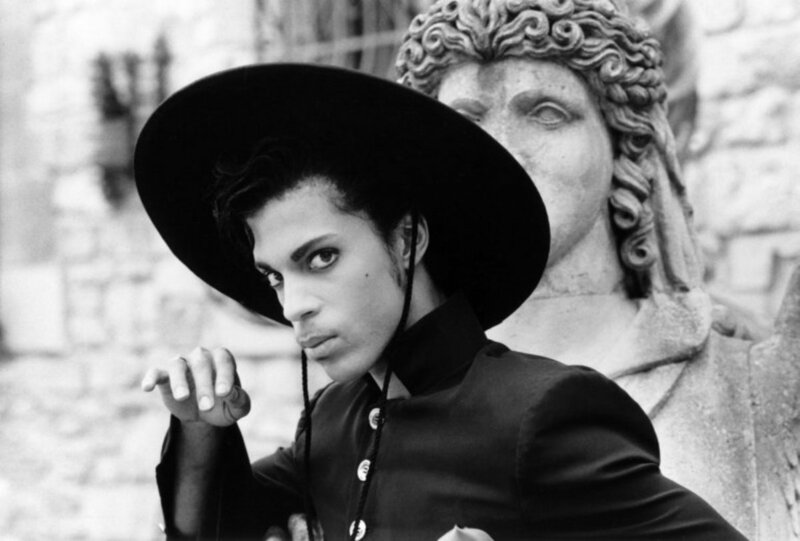 The videotaped interview was conducted in France, where Prince was shooting his forthcoming motion picture, Under the Cherry Moon. 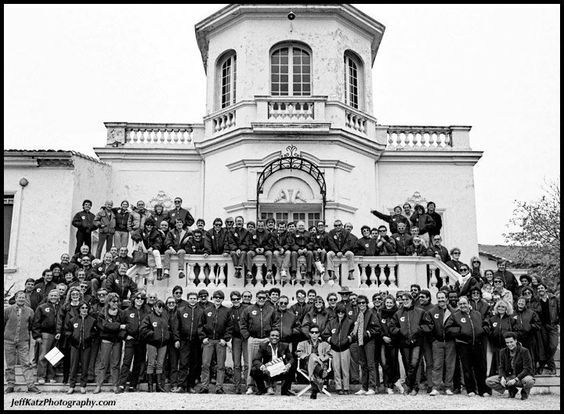 He first took a break to film the video for America, the third single from the Around the World in a Day LP, before 2,000 kids at the Theatre de la Verdure (translation: Greenery Theatre), which is a huge tent on the Promenade des Anglais in Nice. Once the video shoot was completed, Prince & the Revolution treated the audience to a 90-minute concert. Afterwards, Prince sat with a few of the young people in attendance and answered the questions prepared by the MTV Music News staff. It marked the first time in his career that Prince had said more than two sentences on TV. Unfortunately, in many cases, he didn't answer the questions posed, as you'll see. Although Prince is very good at many things, his inexperience with interviews shows greatly. Well, as you can see, I've made a lot of friends here, but I was homesick and I missed America. I guess I just wanted to talk to somebody. Someone in Minneapolis recently told us that several months ago they were in a studio there when David Rifkin, your sound engineer, walked in. They asked him what he thought of the new Prince album, Around The World In A Day. He said, "It's great, but wait 'til you hear the new album." Apparently, he meant you're already working on a new LP, and that this one would be a strong return to your funk roots. Is this true? Can you elaborate? What will it be called? When will it be due out, and what's the music like? Don't you like surprises? Guess not. Ah, it is true I record very fast. It goes even quicker now that the girls help me -- the girls, meaning Wendy and Lisa. I don't really think I left my funk roots anywhere along the line. Around The World In A Day is a funky album. Live it's even funkier. What's the plot, what kind of characters, what kind of music, how many songs, what can we expect? It's a French film. It's a black-and-white French film, and ah, she's in it (girlish giggles can be heard). And her name's Emanuelle. The art or technique of movie photography, including both the shooting & development of the film. Originally, the film was to be directed by Mary Lambert, a premier music-video director who has overseen Madonna's "Borderline" and "Material Girl," Sheila E.'s "The Glamorous Life," and the Go-Go's "Yes Or No." But in mid-September, about a month or so into the movie's two-month shooting schedule, Lambert abruptly walked off the set and handed the directing reins to His Royal Badness. Lambert issued a statement which read, in part, "I'm leaving under totally amicable circumstances. It's just become quite apparent that Prince has such a strong vision of what this movie should be, a vision that extends to so many areas of the film, that it makes no sense for me to stand between him and the film anymore. So I'm going off to work on my own feature and letting him finish his." Ron Larson is an art director, album cover designer and graphic artist. He has won two Grammys for his designs. He has worked closely with John Kosh and also done many various projects for Disney. He was also responsible for helping with the design of the original Star Wars Episode IV: A New Hope logo as well as designing the logo for Star Wars Episode V: The Empire Strikes Back. He designed the logo for This Is Spinal Tap and the cover for Prince's Under The Cherry Moon. Besides working in both the movie industry and recording industry he was also involved in the art used on video game covers. Larson also helped design one of the logos used by United Artists. He currently teaches graphic design classes for undergraduate students at California State University, Fullerton. On the part of a sometimes lonely musician? That sometimes money buys U everything and nothing? Oh - my friends all say it's just a phase but? And giggle the same giggle that U do? Under the Cherry Moon is a love story, set in the 1940s and shot in black and white. Word from the set has it that the plot is more or less spelled out in the lyrics to "Condition of the Heart" on Around the World in a Day, which appears to be about a musician falling in love with a woman too rich and worldly for his own lifestyle. "For 21 years now i've listened to you and father tell me what to do. You've painted a picture of a perfect world and you've framed it with hypocrisy, stubbornness and lies. And you've hung it on a trust fund I can't get until I marry a man I don't even love. Doesn't it matter to you and Daddy what I want? Mother. Look at me. I am your painting." It's the combination of old and new life, cold confrontation giving way to a restless heart. The film may not be up to much - although lavish, beautifully shot and well scripted, it's more than a little indulgent and at times feels too much like a vanity project. Wow, I had no idea there was such an overlap between the two eras like that. And then considering that ATWIAD was pretty much done before the PR tour was over... It's just crazy to think about. I get that he didn't want to do a tour for ATWIAD, but man it just feels like that album was an afterthought in the grand scheme of things. It's not that he didn't want to, but what time was there for it anyway? ATWIAD definitely wasn't an afterthought. He was already bored with PR stuff during the tour, and was recording that album mostly on the tour (although a couple of songs predate the whole PR phenomenon). "Temptation" dates to the summer of 1984. Hell, "The Ladder" was recorded during a dang soundcheck on tour, if memory serves. It was a full year, pretty much, between ATWIAD and Parade albums being released. Pretty typical for the Prince schedule of releasing records. But to your point, I think it's safe to say he was already onto UTCM and taking care of all of that stuff. Making a movie is no easy business, especially overseas when you're normally U.S. based. I do like that ATWIAD & Parade overlapped. They sort of go together in sound and look and feel. They're also polar opposites. One full of color and stories, whereas the other is black and white, supporting a larger story. ATWIAD is a very interesting album that stuff like "Raspberry Beret" video echoed unused scenes from PR in story, and also sounds like "Take Me With U". "The Ladder" is another "Purple Rain"; "America" is "Baby I'm A Star", etc. "Temptation" is another "Darling Nikki". Yet a song like "Condition of the Heart" is said to be a blueprint for the UTCM movie. You could play "Tambourine" instead of "Life Can Be So Nice" in the movie, or use "She's Always In My Hair" instead of "I Wonder U". It really was the evidence of PR and Parade having a baby. 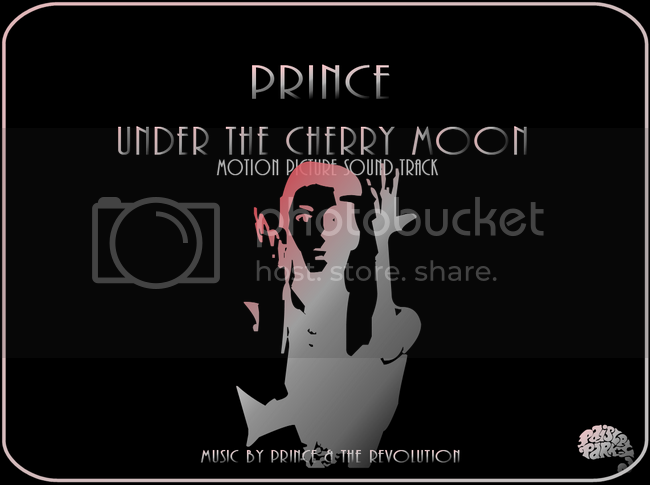 You can call me stupid all you want, but I find Under the Cherry Moon more enjoyable than Purple Rain. I love 'Purple Rain' because it reminds me of a time but 'Under a Cherry Moon' was a better movie to me. 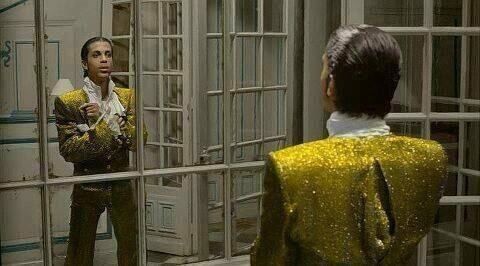 Under the Cherry Moon could have been just as good as Purple Rain. the era could have been just as hi as Purple Rain or more. Talk about Haute couture. I call Purple Rain 'Purple Glam' but UTCM Purple Chic. The template for Purple Rain should have continued in part w/UTCM in that there should have been more musical performances. He should have brown Paisley Park to Nice France. Performances didn't need to be on the same level of Purple Rain, and of course no battle of the bands. The themes in his music that lead us ATWIAD: A government of love and music boundless in its unifying power A nation of art 2 production Sharing ideas, a shower of flowers & ALHIYH: We were brothers and sisters United all for love -Purple hippies, he called his camp the purple army... the Family Shiela E Mazarati the Revolution Jill Jones should have been in the movie. The 'gigolo' should have been more an artist-musician among high society. Christopher and his band of artist hired by Mary Sharon's father to entertain at her Nigh & Day birthday party would have made more sense in Christopher and Tricky showing up out of the blue. New Position, and High Fashion(the Family) performed @ the Night party, I Wonder UIor A Love Bizarre) Mia Bocca performed at the Day party. Christopher still having his paino bar Venus de Milo club scenes -But the Revolution taking the stage in the background 4 Alexis de Paris while Christopher & Mary dance. the scene with Girls & Boys could have had the video of Girls & Boys totally ignite that scene in the movie, having Uptown come to High Society France and show them how to do it. One or two other 'background' scenes with bands. And the alternative ending(Christopher not physically dying) would have taken the movie on a whole different level. The soundtrack was on point/the music for the era was there and alive for use. 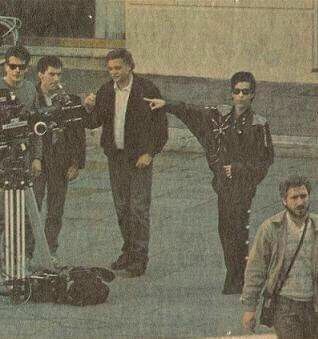 But Prince wasn't a movie director and not a strong enough 'actor' to carry a movie. 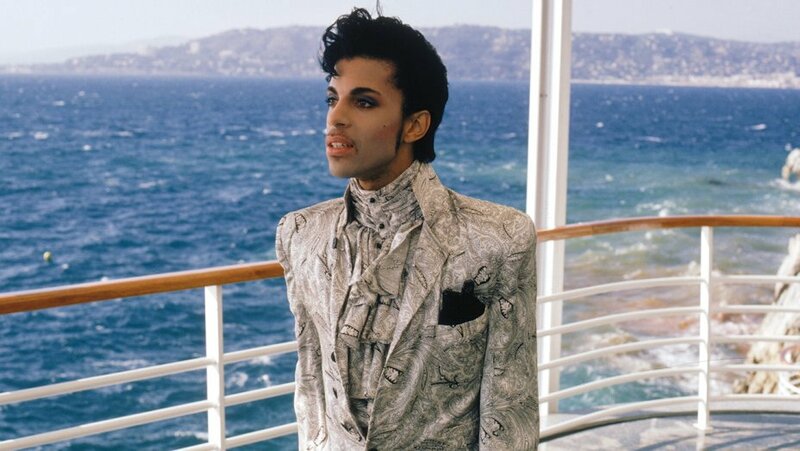 Like the Purple Rain era, the UTCM movie needed more of his people in it to carry the wonder clothing styles that were blossoming out of this musically creative peak. But I love it still and watch it almost as much as I watch Purple Rain. Speaking of the MTV interview; I once saw a piece from that interview on MTV news. The piece was not in the original interview and it was Prince speaking about a woman who taught him about off beat sounds or something to that effect. Does anybody know who he was talking about? Is that entire interview available? Thanks! If UTCM was a success..I really feel like it would have changed the outcome of his career. I think he would have been seen as BIGGER than Michael Jackson during that time instead of as a "rival", he would have toured the US more, his videos would have been a bigger budget, and his team of proteges would have had much more success, and of course his album sales and radio airplay and chart positions would have been through the roof. I have always liked UTCM but I really think that it should have been in color.In 1986,a black and white romantic comedy was a tough sell. I wish there was a color version of this movie!!! I believed he blamed the Revolution or at least took it out on them for UTCM not being a success. The music was stellar, top quality, adult music. But he and Jerome just couldn't care the movie by themselves, Prince is not a director, and the movie script wasn't given the time to develope. The opening into someone in the middle of the movie in my opinion was good. But you can where Prince probably took over and see it devolve. What was happing in the purple camp from 1983-1986 Parade -the Dream Factory etc could have caused Prince to soar over the need to try to keep up with what was happening in the music scene. It would have put him on a whole other level above the 90s hip hop take over. I think things were changing in the 90's and not much could stop that. I think that had more to do with record execs than any artist. To take it a step further, I think record companies did not want strong artist anymore, so Prince would have had a harder time. Kristen Scott Thomas original name for the movie was Alexa but was later changed to Mary when it was decided her character was English. The music was stellar, top quality, adult music. 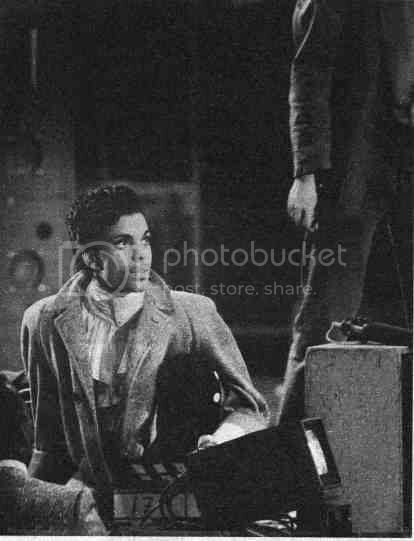 But he and Jerome just couldn't carry the movie by themselves, Prince is not a director, and the movie script wasn't given the time to develop. The opening into somewhere in the middle of the movie in my opinion was good. But you can see where Prince probably took over and see it devolve. No, I don't think it was Joni. It was some sort of musical teacher.